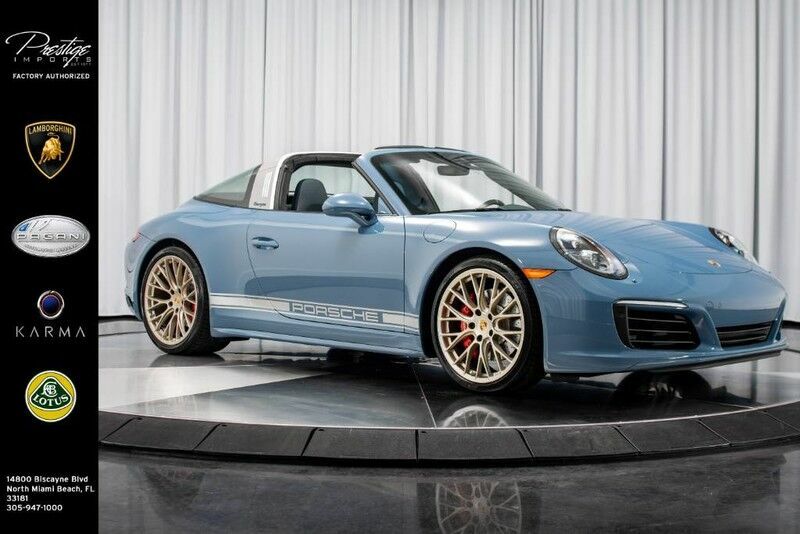 Contact Prestige Imports today for information on dozens of vehicles like this 2017 Porsche 911 4S Exclusive. Put performance, safety, beauty, sophistication and all the right amenities into a car, and here it is! Now you can own luxury without the luxury price tag! When driving an all wheel drive vehicle, such as this Porsche 911 4S Exclusive, superior acceleration, traction, and control come standard. Intricately stitched leather and ergonomic design seats are among the details in which test drivers say that Porsche 911 is in a league of its own Stand out from the crowd as a 2017 Porsche 911 4S Exclusive is a rare find and just may attract paparazzi. This Porsche 911 4S Exclusive is covered under the Porsche reliable & trusted factory warranty. So, if you're in the market for an incredible vehicle which provides the manufacturer-backed assurance that everyone deserves, then this is the vehicle for you. If you're looking for world-class speed, acceleration, cornering and handling, don't blink because you'll miss this truly amazing automobile. The paint on this Porsche 911 4S Exclusive is flawless; no scratches, no blemishes, no need to spend extra money on touch ups. Upgraded wheel package makes this Porsche 911 stand out from the rest.